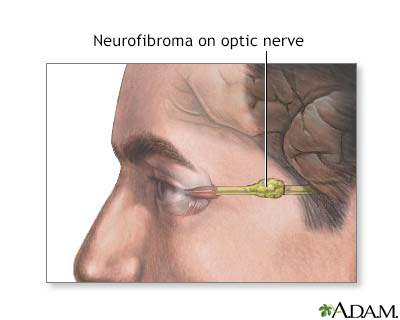 Neurofibroma is a tumor or growth located along a nerve or nervous tissue. It is an inherited disorder. If left unchecked, a neurofibroma can cause severe nerve damage leading to loss of function to the area stimulated by that nerve.